Canon brings the heat for summer hip hop playlists on his new song, “We Been Here,” featuring Aaron Cole blazing the chorus and second verse. The emcees attribute their strides in the music business to their longevity and hard work, distinguishing themselves from newcomers. The booming track produced by KDiamondBeats is packed with bravado and lyricism. Canon offers a synopsis of his tenure: “Been independent, on the ground, under ground, been born with a beast mode / Been on the waves since day one / So I’m Lil Yachty, plus three boats.” Cole compliments the song with bars about his bold, willingness to rhyme about his faith before it became trendy. “Really coming for these copycat Christians ashamed of his name ‘til Chance gave ‘em a Chance,” he raps. 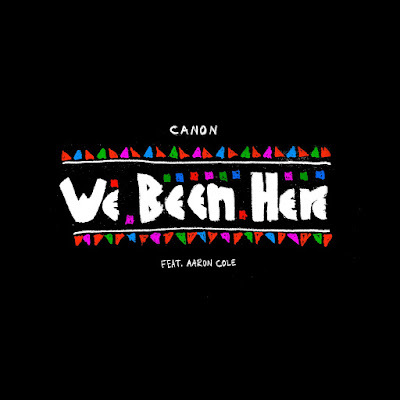 "We Been Here" is available now via iTunes or Google Play.